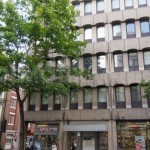 Around 50 activists have occupied a disused BT building in High Holborn in Central London, and renamed it the HOBO HILTON. It is billed as a free space open platform for education, creativity, revolutionary work groups and activities. [PRESS RELEASE] – Thursday evening, september 27th, the Utrecht police called PUSCII, the hoster facilitating the Bikefest 2012 website. 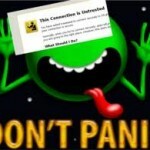 In this call the hoster was put under pressure to take the site offline. The officer mentioned he had a court order to take the site down as it was calling out to disturb the peace. No such order was ever shown. Bikefest is an event focused on durability, bicycles and ‘Do It Yourself’ bikerepair and maintenance. The fourth edition of this event was planned to be held in Utrecht for the first time. Previous editions in Scheveningen and Amsterdam have never led to any troubles, nor did they disturb the peace. This afternoon, on my way back from a disturbing bike ride around Mayfair, where money is almost literally oozing out of every orifice of those who find it easier than ever to enrich themselves at the expense of society as a whole, I arrived back at Charing Cross, to catch the train back to south east London, where I was confronted by the front page of the Evening Standard announcing, “London Squatter First to Be Jailed,” which threw me into an angry depression. We are a hundred of people (with 25 children) and more than a hundred of people committed in the workshops and activities of the Toulouse Self-Organized Social Center. We are threatened by a close eviction. In a few days, the State will send us its cops to throw us back to the streets, destroy the place and leave its 5400 square meters empty, as it has been for 6 years, without any project, as dead as possible. 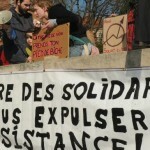 This year, numerous collectives all around France have been struggling against all kind of misery: children living in the street, precarious housing conditions, people going to be evicted, precarious working conditions, undocumented people… and to deal in an autonomous way towards their needs regarding housing, food, freedom of movement. After getting feed back from all around, some people have decided to gather and coordinate themselves. 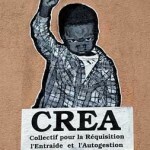 From August 31st till September 2nd, at the CREA Social Center in Toulouse, to be evicted and desvastated by the State a few days later, some individuals gathered in order to discuss and exchange tools, knowledge and empowered themselves. 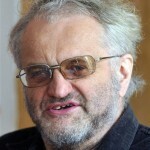 Political scientist Ondřej Slačálek has informed the Czech Press Agency that the famous Czech anarchist and defender of the rights of Romani people, Jakub Polák, passed away yesterday. The activist succumbed to cancer just after turning 60. In the months before his death he was engaged in the case of the evictions of people living in the buildings on Přednádraží street in Ostrava-Přívoz. 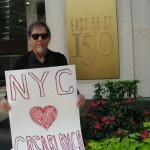 Today at noon activists in solidarity with the struggle to reclaim Casablanca Social Center in Madrid gathered in front of the Spanish Consulate on East 58th Street in Manhattan, New York City. 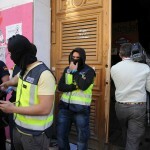 Today, at 7 am, the police have forcibly evicted without notice the squatted and self-managed social center Casablanca, situated at calle Santa Isabel 21-23, in Madrid, Spain. This was totally illegal eviction. A magistrate’s court and the Provincial Court of Madrid firm filed the criminal case started building ownership. 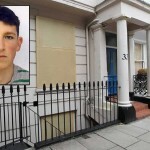 It is illegal to reopen the case, and it is illegal we have not been notified of the decision to evict. Three years ago the Pashto jungle was evicted and razed to the ground, under the eyes and camera lenses of the world media. 276 Afghans, almost half of them underage boys, were arrested. Some No Borders activists and charity volunteers, who had tried to defend them, were brutally assaulted by police. 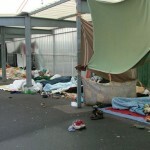 The Afghans were all released the day after by order of the judges, as the police had not followed procedures. The forces of darkness descended on the peaceful, commercial Hackney property this morning in order to carry out their wrong doing. They were met, however, by a rather large crowd who stood their ground and defended the fact that everyone has a right to a home. The 20 occupants of Dove Row remain in their home despite the wishes of capitalist property developers. Viva la resistance – homes for all!! Letter from the imprisoned comrades before the trial takes part. The trial finished the 14-09-2012. We all live in an economic politic system, tightly closed and illiberal, which defends with every way the interests of the bosses, every kind, of overhead. On the other side of the scale, there are the oppressed, all who face daily the problem of survival. The biggest part of the society, a few hundred million, are on the limits of poverty, receives daily attack from the small class of the bosses, with their protectors of their wealth, their command applicators, the state and the authority. Especially the last years, with the new economic crisis invented by the bosses, which is nothing but an obvious restructuring and re-accumulation of wealth for their benefit, and an attempt of total control of every aspect of society, more and more people find themselves in a desperate situation and they decide to take their lives in their hands. Residents of a tenement in Poznań have been harassed for months by thugs hired by the building’s new owners. Because they cannot be evicted quickly through legal measures, residents have been subject to stalking, intimidation and blackmail; under the cover of renovation works, most of their amenities, including running water and gas, have been cut off. The building was purposefully infested with rats and insects, and many apartments have been substantially devastated.